From Martin Woods, who has compiled over 500 crosswords for The Big Issue in the North. Download the PDF guide How to Solve Cryptic Crosswords. Solving cryptic crosswords can give you hours of entertainment and is richly rewarding, either by yourself, or with someone else. It combines problem solving, general knowledge and thinking out of the box. Once you've read the guide below, I recommend starting with the Cryptic Crossword with Clue Type Indicators, at this tells you which type of clue is used for each question, and will help you practice your new solving skills. In most crosswords the clue is composed of two parts, a hint to the answer (a bit like a quick clue only normally not so easy) and a cryptic component that also tells you the answer. There are several types of clue, as follows. Here the anagram is drawn-out, the anagram indicator is rambling and the clue is rude. This clue ends with ? which means that there's something in the clue that's a trick question. The answer is lodger, a type of letter, as in someone who lets. Examples of anagram indicators include abstract, absurd, active, addled, adjusted, afresh, after a fashion, alloy, all at sea, alien, altered, alternative, amazing, anyway, askew, awkward, awry, etc. 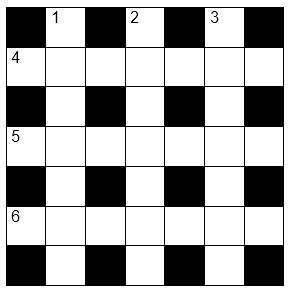 The following mini-crossword only contains anagrams in a classic cryptic format, with a clue, an anagram indicator and the anagram itself. These may appear in any order. See answers and a short explanation to the elements of each clue. Here the clue is crock, the sound like indicator is talking and the something that sounds like is make money. The answer is urn (a type of crock, which sounds like earn). The answer is ice cream. Words that indicate sounds like include: say, we hear, listen, speak, utter, pronounce, declare, report, etc. As you'll see, many cryptic clues have an apparently obvious meaning that must be ignored! Words that could indicate = include with, and, also, meets, equals, etc. (though they can also be used to mean other things). Here, the clue is City, in indicates a hidden word and Czechoslovakia, if you look carefully contains the word Oslo, which is the answer. Words that indicate a hidden word include: A little of, a portion of, apparent, appears, carried by, content, emerges from, out of, gripped by, herein, holding, in, nursing, portion of, showing, etc. Here the A is the clue (Reason), wood indicates log and icy, say is a sounds like clue for I C.
The answer is log + ic = logic. Fury is temper, over indicates above (used in a down clue) the letter a, and the clue is painting with eggs. Beat is flog, if you write this ‘up’, you have golf. To look for is search, if you remove SE (an abbreviation of South East), you get arch, the answer. Roman numerals, one = I, five = V, ten = X, etc. Ring, love, egg, zero, circle can all indicate the letter O. 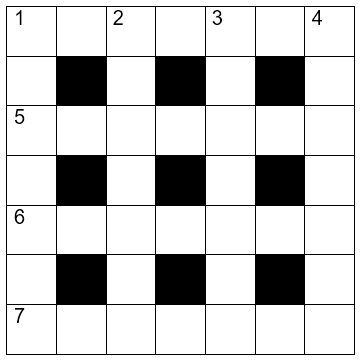 Many crosswords have a combination of several of the above (e.g. part equation, part anagram or part sounds like). More than 90% of cryptic crossword clues are written in one of the ways described above, however it obviously takes practice to identify what kind of clue a cryptic clue is and work out how to solve it! 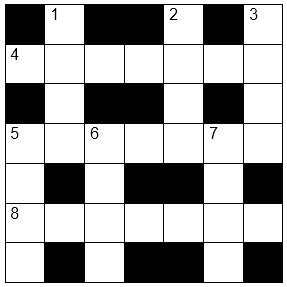 Crossword compilers can also use other methods of coding a clue, which might be unique to that particular author. I hope this gives you enough information to get started and you enjoy solving crosswords. Personality Test - Which Geek Are You?